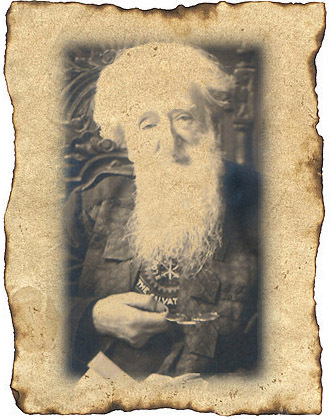 William Booth embarked upon his ministerial career in 1852, desiring to win the lost multitudes of England to Christ. He walked the streets of London to preach the gospel of Jesus Christ to the poor, the homeless, the hungry and the destitute. Thieves, prostitutes, gamblers and drunkards were among Booth's first converts to Christianity. To congregations who were desperately poor, he preached hope and salvation. His aim was to lead people to Christ and link them to a church for further spiritual guidance. In 1865, Booth had only 10 full-time workers, but by 1874, the number had grown to 1,000 volunteers and 42 evangelists, all serving under the name "The Christian Mission." Booth assumed the title of general superintendent, with his followers calling him "General." Known as the "Hallelujah Army," the converts spread out of the East End of London into neighboring areas and then to other cities. Booth was reading a printer's proof of the 1878 annual report when he noted the statement, "The Christian Mission is a volunteer army." Crossing out the words "volunteer army, " he penned in "Salvation Army." From those words came the basis of the foundation deed of The Salvation Army. Meanwhile, the Army was gaining a foothold in the United States. Lieutenant Eliza Shirley had left England to join her parents, who had migrated to America earlier to search for work. In 1879, she held the first meeting of The Salvation Army in America, in Philadelphia. The Salvationists were received enthusiastically. Shirley wrote to General Booth, begging for reinforcements. None were available at first. Glowing reports of the work in Philadelphia, however, eventually convinced booth, in 1880, to send an official group to pioneer the work in America. On March 10, 1880, Commissioner George Scott Railton and seven women officers knelt on the dockside at Battery Park in New York City to give thanks for their safe arrival. At their first official street meeting, these pioneers were met with unfriendly actions, as had happened in Great Britain. They were ridiculed, arrested and attacked. Several officers and soldiers even gave their lives. General Booth's death in 1912 was a great loss to The Salvation Army. However, he had laid a firm foundation that even his death could not deter the ministry's onward march. His eldest son, Bramwell Booth, succeeded him.